3 Bedroom Terraced House For Sale in Banbury for Guide Price £399,950. 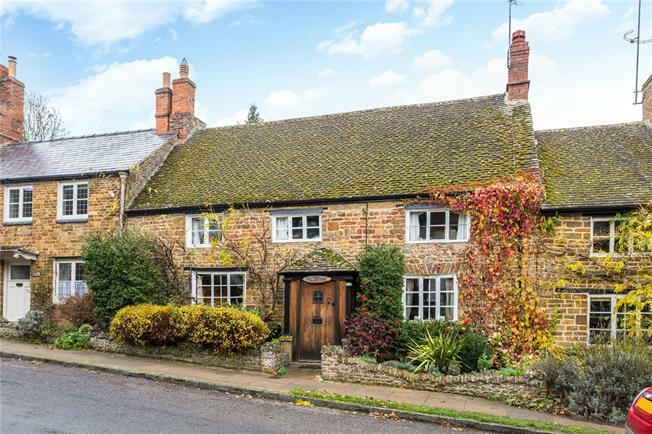 Attractive Grade II listed terrace cottage situated in a popular location within this much sought after North Oxfordshire village. The accommodation, which is arranged over two floors, includes an entrance lobby, delightful sitting room with exposed beams and an inglenook fireplace with multi fuel burning stove. The separate dining room, again with exposed beams and floorboards, has double doors opening onto the rear garden. The kitchen which is to the rear of the property off the sitting rooms, is fitted with a range of wall and base units, ample tiled worktop with inset sink & drainer, built in fridge/freezer, gas hob and electric oven, plumbing for washing machine and cupboard housing the gas fired boiler, there is a stable door leading to the rear garden. The first floor landing gives access to the three bedrooms, modern fitted bathroom suite with seperate w.c. and airing cupboard. The bedrooms comprise of two doubles and a single bedroom. The master bedroom enjoys dual aspect windows and a range of fitted units. The cottage offers a wealth of character features and an internal viewing is highly recommended to fully appreciate it. To the rear of the property there is a good sized, private garden. The stepped patio area leads onto the lawned garden which has an abundance of shrubs, bushes, trees and fruit trees.